It comes down to Capitol/BRI what is available for streaming and how it gets labeled I’m sure. 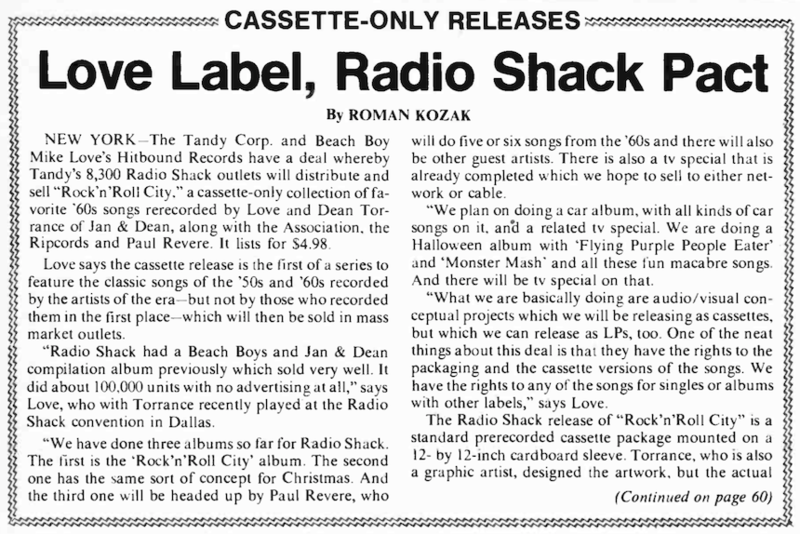 I perhaps worded poorly but I was intending to say that since nobody really remembers the Radio Shack ordeal and it paved the way for a minor hit, so it could be argued as a positive thing for the legacy at the end of the day. I agree the deal was a flop on its own merits. 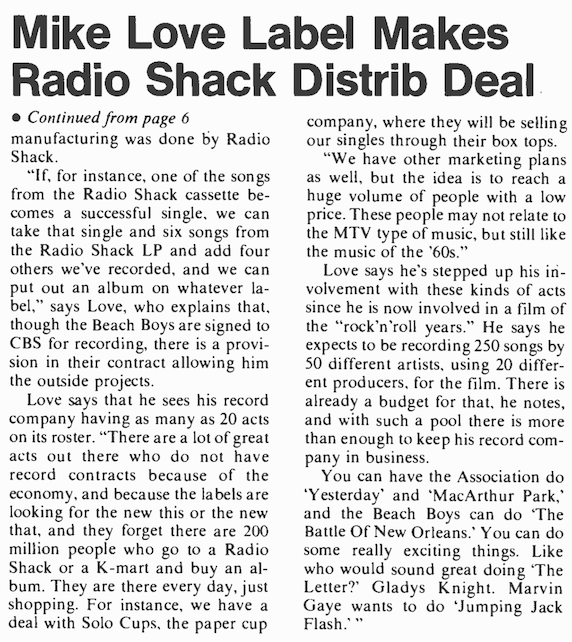 Say what you will about Mike’s Radio Shack dealings, but they did give the Beach Boys the excuse to head into the studio in early ’80s and cut “California Dreamin’,” laying the foundation for their 1986 version which didn’t do too bad as a single. 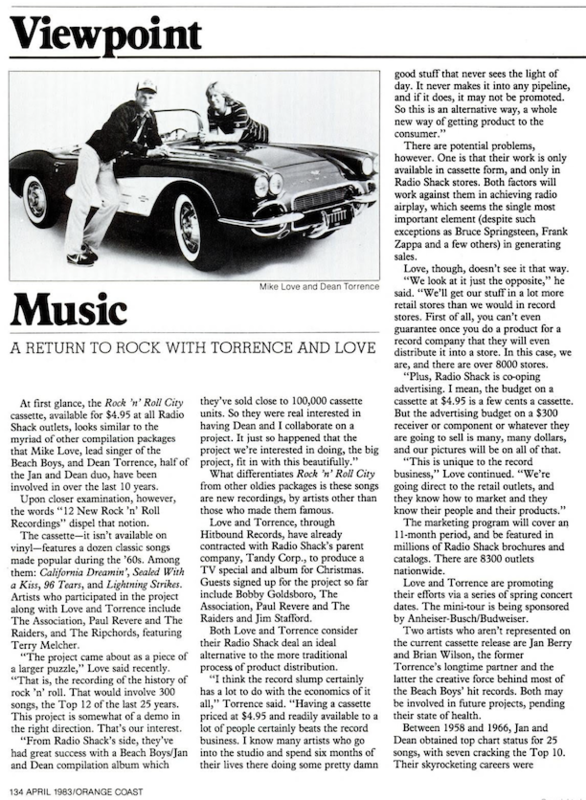 In all, the Radio Shack deal lead to a net gain for the BBs legacy by eventually resulting in that recording IMO. Also, the “Alone on Christmas Day” with the slightly longer fade that I mentioned above ended up on Reason for the Season! I don’t know if anyone ever pointed this out, but the three tracks in this “Golden Medley” (“Wouldn’t It Be Nice,” “I Get Around,” “Surfin USA”) appear to be the same recordings that eventually ended up on the Unleash The Love bonus disc and the Beach Music Classics PBS set (in unedited form). Well, “Surfin’ USA” seems to be a pretty different mix but I think it’s the same recording. Just pieced this together today… sorry to bump this ancient thread. 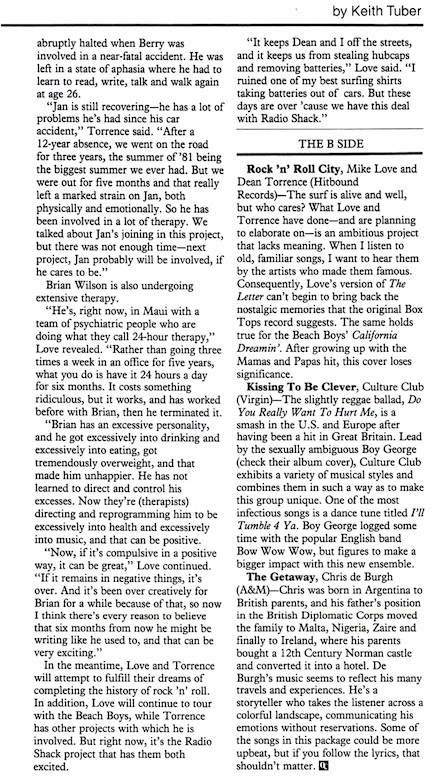 And here’s Billboard going a little bit further in depth: https://www.americanradiohistory.com/Archive-Billboard/80s/1983/BB-1983-05-14.pdf. Too bad the Halloween album never came to light! Interesting article that kind of goes into the business side of it. I think Hitbound made/owned the recordings and licensed them to Realistic for distribution in Radio Shack stores and had a separate licensing deal with Premore (owned by the Solo cup company) for distribution through mail order. Powered by SMF 1.1.21 | SMF © 2015, Simple Machines Page created in 0.331 seconds with 21 queries.